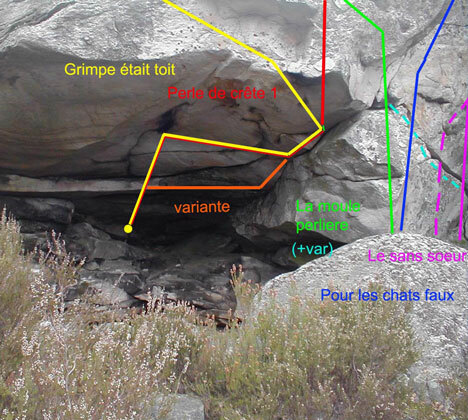 N°14 of the topo du Coquibus Grandes Vallées. 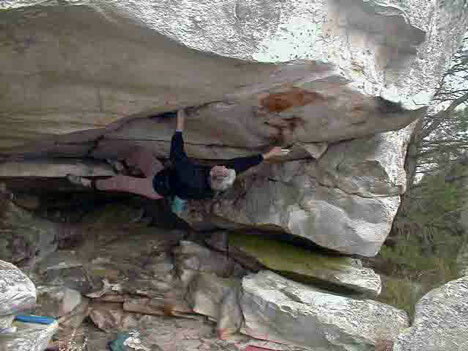 Low sitstart as for Grimpe Était Toit and exit via the right ledge from the jug. Big parts of rock seems to be very loose and shallow in the beginning of the roof, it didn't feel very safe to pull from those.